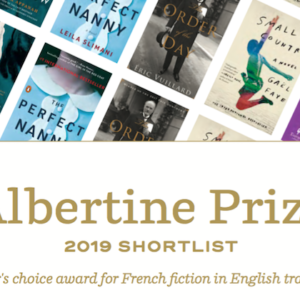 The following is from Ann Beattie's novel A Wonderful Stroke of Luck. As Ben settles into his stressful, unfulfilling adult life, everything is thrown off balance by the return of Pierre LaVerdere, the enigmatic, brilliant, perverse leader of his honor society from boarding school. 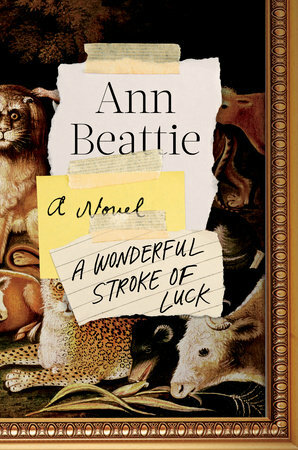 Ann Beattie is the author of 21 books, a recipient of the PEN/Malamud Award, and a member of the American Academy of Arts and Letters and of the American Academy of Arts and Sciences. LaVerdere turned to LouLou. “Ms. Sils, if you could delay your boot repair until I have finished? Thank you kindly. To continue: It will be obvious that a version of Eden exists before us, where animals antagonistic to one another stand contentedly side by side, a small figure assumed to be the painter, Mr. Hicks, among them. Mr. Hicks was a Quaker, as you may know from the handout photocopied by Tessie. I’ve read a bit about Mr. Hicks, and it seems that in spite of his projected vision of peace and happiness, which makes him a premature hippie— Aqua, you are the perfect audience; thank you—he became pained as the Quaker religion split into factions: what we would call “orthodox,” versus a more rural, conservative faction, with which Mr. Hicks, as a former farmer and sign painter, felt personally affiliated. Ben took a deep breath. To avoid answering Akemi’s impossible-to-answer questions, some of the teachers resorted to calling on her classmates to respond, instead. Now, though, no one replied, though LaVerdere coughed into his hand. “Let us look at this painting—its subject matter; our arguably unreliable information about a lack of peacefulness within the painting’s creator. While that hardly makes it Munch’s The Scream—thank you again, Aqua—may I suggest that ultimately, anecdotal information makes our contemplation something other than it might have been, allocating three to five seconds to walk past it in a museum. Or, in this case, in a Park Avenue condo. Though we cannot detect conflict, the vision portrayed, the idealization, is to my eye a bit too remote from reality to be convincing. “And while I know nothing about the painter’s intentions, I do know that there are sixty-some variations on this painting, which might be interpreted at least two ways: that the painter is insisting—which always makes us think we might be encountering someone’s defense system, hmm?—or that the painter has a specific ambition he is unable to accomplish. Of course we would not want Mr. Hicks to say, ‘Aha!’ and destroy the succession of paintings leading up to this one. Yet, ironically, amid the ostensible ‘peace’ of the painting, its emotional underpinnings may be quite varied, among them obsession, frustration, even desperation. Phillip Collins got it. He snorted.